15.04.2014. London, England. 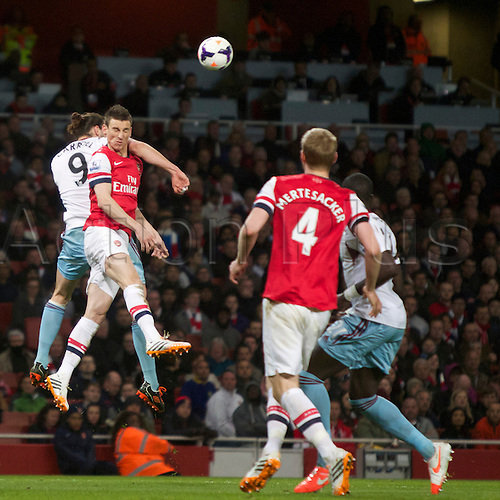 Laurent Koscielny of Arsenal battles with Andy Carroll of West Ham United during the Barclays Premier League match between Arsenal and West Ham from the Emirates Stadium.